When your husband mentions you in every conversation, and in every note. 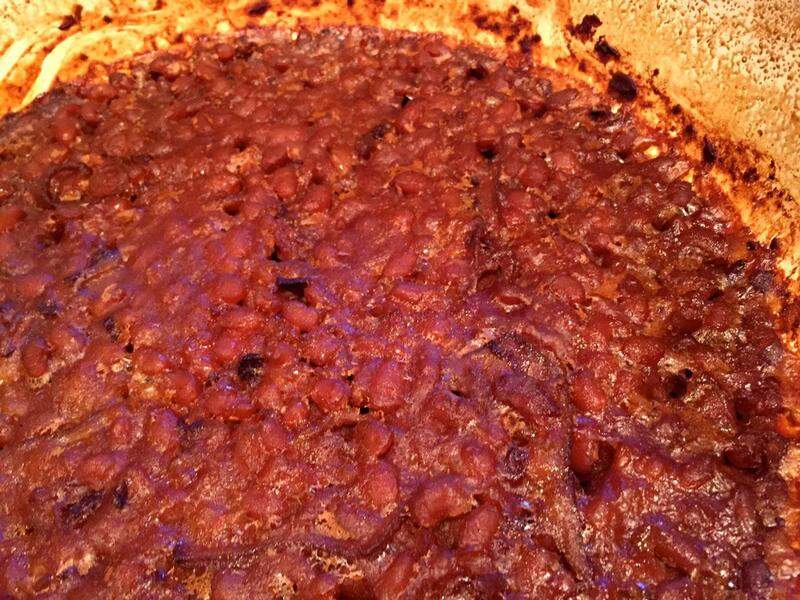 I’ve made a project of baked beans and we are all suffering for it. Yesterday the kids were sitting at the counter eating breakfast when Seth let one fly. “Seth, you’re STINKY” Sarah said. He was highly offensive, and highly offended by her insult. Later on that morning I myself was unfortunately sitting next to Seth, we were reading together, and he let another one fly. The smell….was terrible. I had to fan the air before my nose while listening to his reading. It was at that moment that I realized that our bean day HAD to be on Fridays to save the world. It’s all well and fine for me, I have no place to go, but my husband and my children have to be out there in the public all day long. I must save the public and protect the innocent. About Rich. The morning after our bean dinner he was busy getting dressed for work when he woke me up with loud melodious toots. I began the day shaking the bed with laughter…..it was a wonderful way to wake up….me laughing and him making sarcastic remarks about beans. I went through all my cookbooks and photocopied every baked bean recipe I could find. I put all the recipes in a folder. You have to sort the beans just in case something besides a perfect dried bean got in the bag…I’ve only found one stone so far…you also pick out any bad beans. The next day I make a sandwich for lunch with leftover beans. I toast some rye bread and add a thick layer of reheated baked beans, plus a drizzle of molasses. I have a huge favor to ask of you, dear reader. Search your mind, search your cookbooks, call your grandma/grandpa or your mom/dad or your aunt/uncle, FIND ME A RECIPE. I want all the baked bean recipes. Please share, I would be so grateful and happy to add it to my baked bean cookbook! This entry was posted in food and tagged food, funny, recipes by Shanda. Bookmark the permalink. 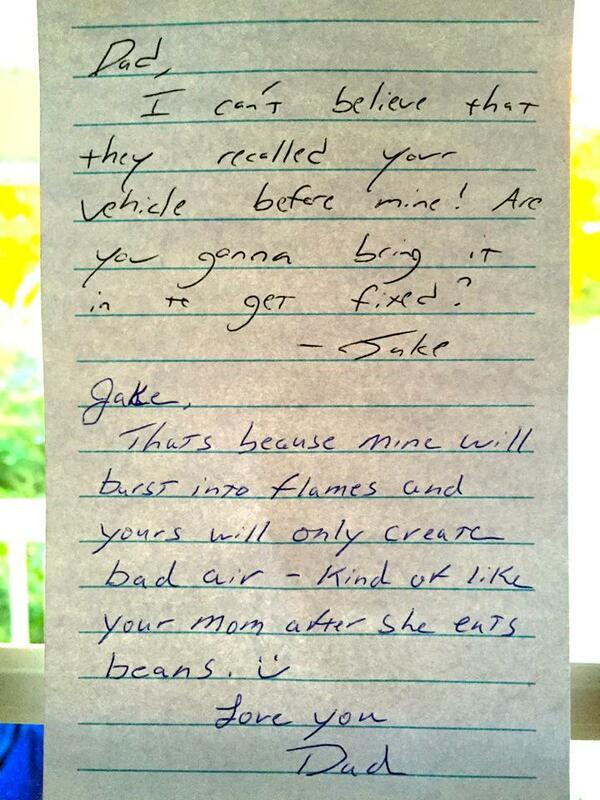 What a special post..LOL I have a friend who brought amazing baked beans to a potluck once. I am going to ask if she has the recipe and if so, I will pass it along. I LOVE baked beans, but can live without the “after effects”. 🙂 Have a blessed day and thanks for the laughs. 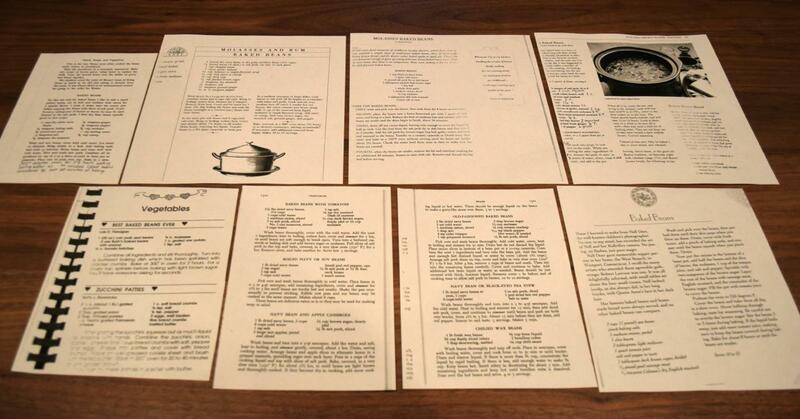 Kara, THREE of these recipes came from those wonderful old cookbooks you sent me!! So funny! I love to try new recipes. There is a great movie coming out this weekend that I think y’all would love called Woodlawn. Have y’all heard about it? Great movie produced by some great friends here in Alabama. Your boys would like it cause it’s a football movie about a high school in Alabama in the 70’s. Hope y’all have a great weekend! Liz, thank you for the movie recommendation! It sounds perfect for my family! Hope y’all have a great weekend, too! Do you remember the apple bean bake recipe you posted once? I love those and take them to pot lucks. 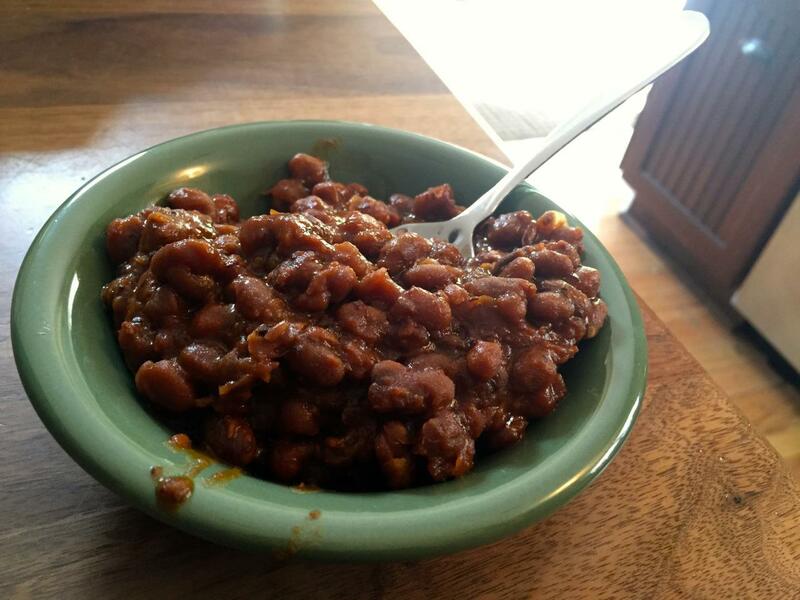 I also love my mom’s baked beans which are very easy: 2 large cans Bush’s baked beans with onions (the green can), add ketchup (squirt in a circle around your casserole dish-twice, a generous amount of brown sugar (mom uses a cup. I use less), put bacon on top. Bake at 350 for 1 hour. They are really delicious! My children call them “dessert beans” because they are sweet and a treat. My mom was always asked to bring these to family gatherings and events. 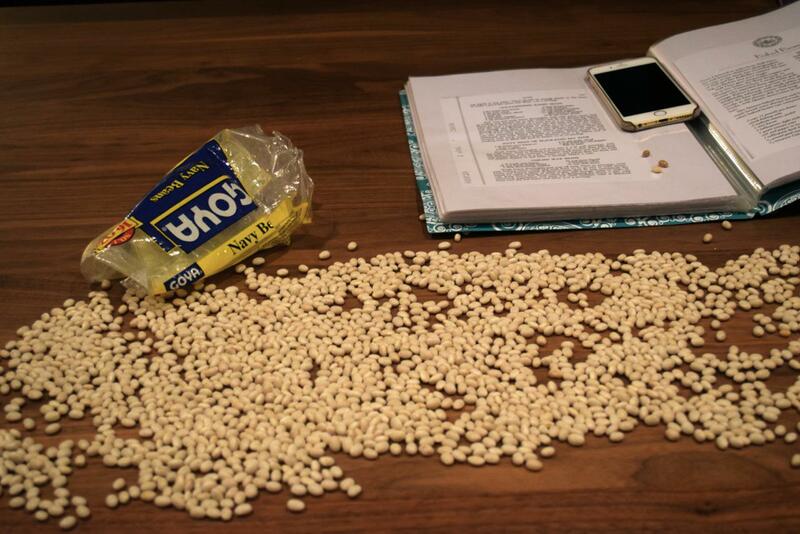 Have fun with your bean project! 1 lb. 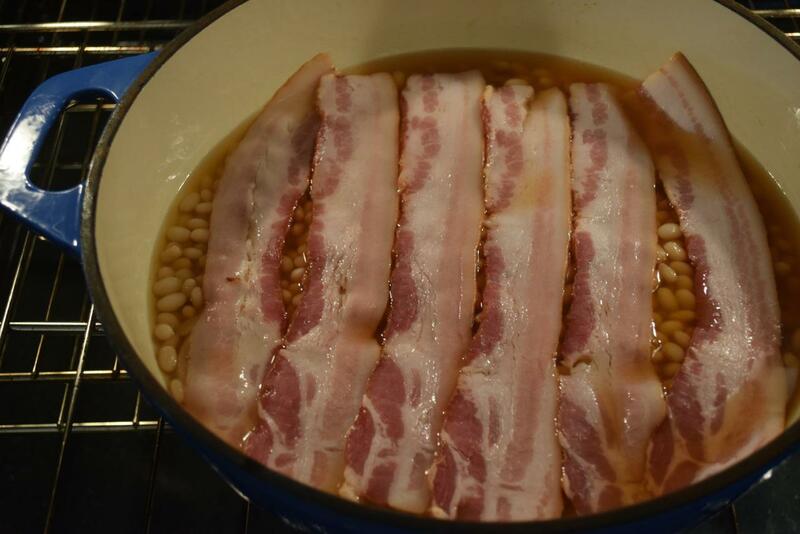 dried navy beans one small onion, minced 8 slices of bacon or 2 cups ham, cut up 1 1/2 tsp. salt 1/4 tsp. pepper 1/2 Cup brown sugar 2 Cups tomato juice 1/2-1 cup water from cooking beans, if needed. Soak beans overnight (8 cups water to 2 cups of beans). Cook 2-3 hours in soaking water until beans are nearly soft. Drain (save water for cooking other vegetables, since it has nutrients from the beans). Add rest of ingredients to drained beans. Bake at 325 degrees for 2-3 hours. If mixture becomes dry, stir in 1/2-1 cup soaking water. Thank you for sending me the recipes today, B! I have quite a few bean recipes because I LOVE BEANS! They are my favorites. Someone told me recently that rinsing beans well cuts down on the gas? I don’t know if it’s true. Tell me later what you think. I’ll send you recipes soon. You’ve tasted my mother’s baked beans recipe; I used to take it to the 4th of July (or was it Labor Day?) picnic’s at Jude’s sister-in-law’s house every year. That was 4th of July, & I can’t wait to get your recipes! I also read that when you do a presoak overnight with the beans and discard the water and rinse them it also cuts down on the gas. Miss you! Always a delight to read your post!! Glad you enjoyed, Annie. 😉 hugs! LOVED your post! So real! 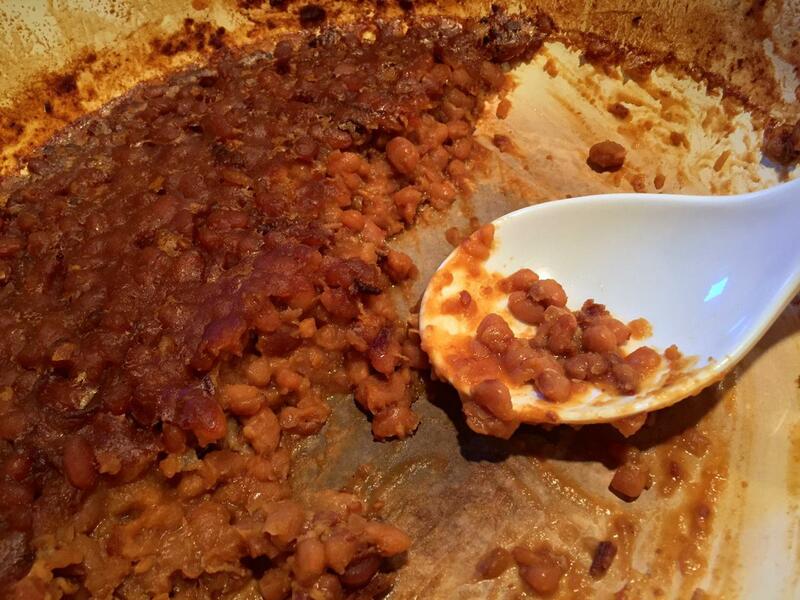 We eat a lot of dried beans, But I never make baked beans…. I pressure cook mine so it takes ALOT less time. I don’t always remember to soak them so if I pressure cook them we can still eat them. I like liquid smoke,, a little brown sugar, salt cayenne pepper and garlic in my beans. Then topped with salsa. tomatoes, chopped onion, cilantro, and Jalapeños. That sounds SO good. I have a pressure cooker! It’s still in the box b/c I’m scared to use it. Isn’t that a shame. You’re inspiring me to dig it out of storage and see what happens. Thanks for the recipe…we use fresh cilantro a lot in our mexican dinners. Yum! Yes I forgot to add the cilantro , we eat fresh salsa on a lot of things! So for the pressure cooker, you would love it if you tried it, it saves so much electric, or propane . For white rice once the thing pops up it only takes two minutes with under pressure turn it off and let the pressure come down and you have rice in a big hurry!! Beans 8 min. after it the pressure thing pops up, sometimes longer if you have a bigger bean . But I just put it on a couple more min. and dinner is on! !I’m so excited I just bought another one at a flea market for $6. I use one almost every day, some times twice a day. I think EVERYONE should use a pressure cooker! A lot of people are scared of it, but before it blows up the rubber thing on top would pop out first making them safe to use, I think it was scary before they had that on top! Try it you’ll like it! Mmmm, I love beans! I make them at least once a week, sometimes more. I think your system does adjust to them. We don’t notice much gas anymore. A friend of mine says adding some vinegar cuts the gas. But I agree most with the lady who said if you eat them on a regular basis your body doesn’t react quite as badly. Love this post.